If you own real estate in Little Italy San Diego and are considering taking out a reverse mortgage to increase your retirement income, there are several advantages and drawbacks to consider first. Take a look at these pros and cons before you decide whether or not a reverse mortgage is right for you. According to the AARP, 87 percent of seniors want to stay in their own home as they age. With a reverse mortgage, the home will remain yours with the title in your name, and you will not owe any money on the loan as long as you live in the home, maintain the property, and continue paying property taxes and homeowners insurance. There are several ways to receive the funds from a reverse mortgage to best fit your needs. The funds can be disbursed as a lump sum, or you can receive fixed monthly payments for a specific amount of time or as long as you live. 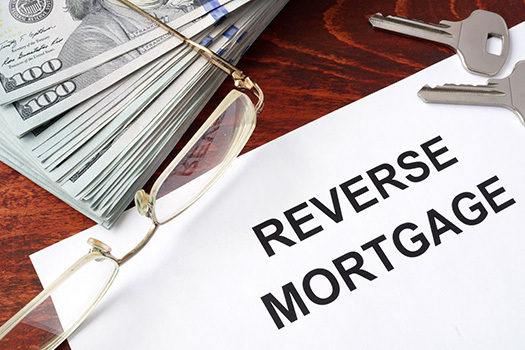 A reverse mortgage can even be structured as a line of credit so you can use the money as needed. It’s also possible to set up a reverse mortgage with a combination of these payment options. Because you do not make payments on a reverse mortgage, the loan balance will keep growing and may eventually exceed the value of the home. The good news is these loans are non-recourse, which means neither you or your heirs are liable for any amount of the loan that exceeds the value of the home when you are no longer living there. A reverse mortgage uses up the equity in your home, and the balance will continue to grow due to interest and the fact you do not make payments. This can dramatically reduce the assets available to leave to your heirs, and they may need to repay the loan balance by selling the home, using other funds, or refinancing the loan into a standard mortgage. There are several “maturity events” that can make a reverse mortgage due immediately. Once a loan reaches a maturity event, you cannot receive additional funds, and the loan is then payable. Maturity events include all borrowers passing away, the borrowers selling or conveying title to someone else, the property no longer remaining the principal residence of at least one borrower for a reason other than death (such as a long stay in the hospital or moving into a nursing facility), the borrowers failing to use the home as a primary residence for more than 12 months due to illness, the borrowers failing to maintain the property, or the borrower failing to pay property taxes and/or homeowners insurance. If you own one of the amazing condos, penthouses, or lofts in Little Italy San Diego and are thinking about taking out a reverse mortgage, get in touch with the real estate experts at 92101 Urban Living for additional tips. Call 619-649-0368 today and we can provide additional information to help you make your decision.